Range 2B is a fully enclosed range with 14 shooting positions and a length of 30 meters. This new range features bright overhead LED lighting, heaters, full range lighting and our new Hot/Safe light system. Range 2B is an example of the level of quality that the BOD is committed to bring to the rest of the ranges for an unparalleled shooting experience for our members. Range 2B is approved for all calibre handguns, shotguns and rifles, with the exception of 50BMG or larger. All normal range rules apply. Similar to Range 3, there will regular weekday closures, Monday – Friday, 8:00 am – 4:00 pm to allow for rentals. 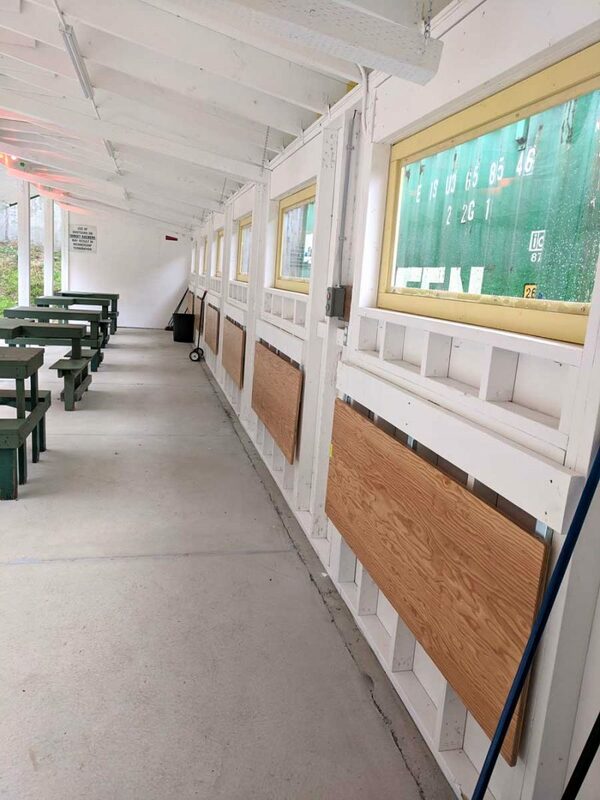 With this new range, we are expecting it to greatly reduce the amount of closures on Range 2 during the week, allowing for more members to shoot long range. A reminder to all members that as the weather gets better and the ranges get busier, we encourage you to spread out and utilize all of our ranges for shorter distance shooting. This will help to keep the crowds down on Range 2 and make sure that all members can use the facilities when they show up. Finally, thank you to our members for showing patience over these past few months during range closures as we work hard to complete these projects with minimal disruption. Could someone please update the map of the ranges so that we can be sure which range is what. We’re working on getting signs printed for the range.